Mens overcoats aren't just outerwear, they are functional style statement. When the weather starts to chill, wearing just your suit is not going to work. When being well dressed is something you take serious, You will need to do the right thing when you're dressed up in your Mens Suits. and the right pair of Stacy Adams Shoes. 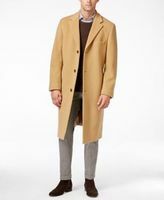 You need a mens wool overcoat to wear. Weather it's Trench coats, Top Coats or Overcoats you're shopping for, you'll find the style here to compliment all of your suits and keep you well dressed when the weather changes. 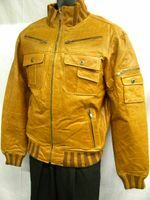 You'll shop online here and find the mens wool overcoat that will compliment your style or Cashmere blend coats as well and if you're just shopping for a classic trench coats, we have those too. 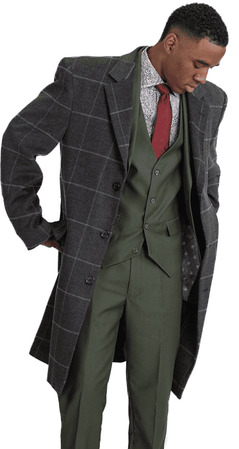 A nice Fashionable mens wool overcoat can and will top off your sophisticated look. Nothing looks more classy than when a Man is fully dressed in his suit,hat and Fashionable Overcoat. People treat you differently when you're all dressed up in a Top Coat. You'll even feel different as well when you're wearing a Fashionable top coat. Sort of like you're at the top of the world. Shopping online for a Fashionable Mens wool overcoat is easy at ContempoSuits.com. Shop for Fedora Hats Here. Read More about Zoot Suits Here. Learn More about having a Mens Overcoat Here. Learn about the Mens Full Length Overcoat Here. When it comes to choosing the proper size overcoat, topcoat or trench coat, there is no need to fret because all you need to do is order your exact suit size and you're all set. These overcoats and top coats are made and sized to be worn over your suit so there is no need to order a size larger overcoat than your suit because it will end up being way too big. So do yourself a favor when you shop online for a mens wool overcoat and order your exact suit size for best fit. Features Hidden Velvet Collar. Fall Weight. Get belted in style with a wool overcoat that has others looking like yesterday's news. This Falcone black belted overcoat is not only cleanly styled but you'll be able to wear with most of your suit wardrobe.